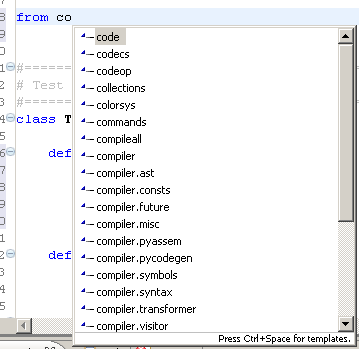 Code completion provides context-sensitive completions and is enabled with Ctrl+Space. 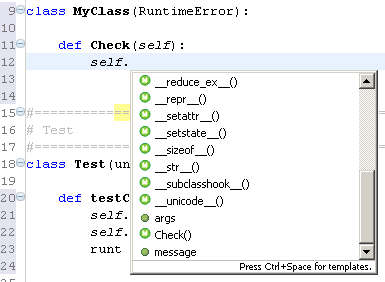 (Note that eclipse has simple emacs-style text-completion with Alt+/). 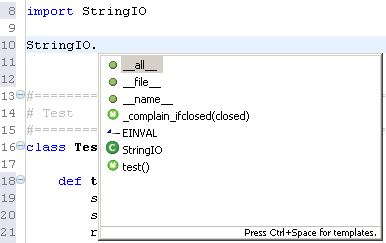 It's important to note that your interpreter must be properly configured for the code-completion to work, and for getting the builtins, PyDev spawns a shell, so, having a firewall can prevent the code-completion from working if it's blocking the communication from eclipse to that shell. 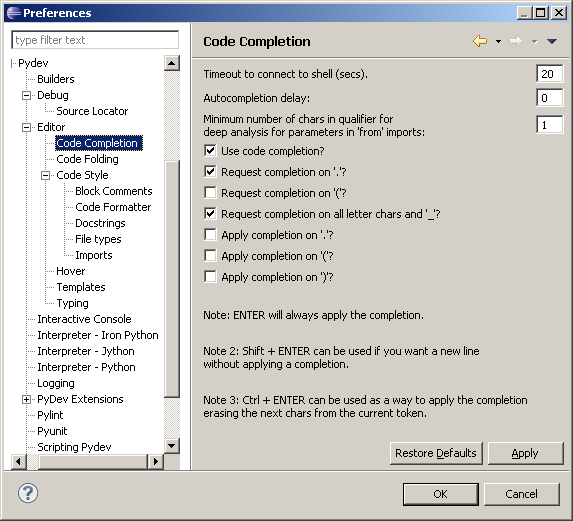 If you want to configure something, you have to go to window > preferences > PyDev > Editor > Code Completion. 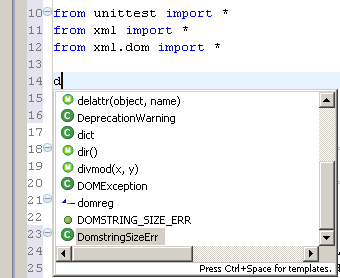 Completing on a variable on the class (also works for locals) that are defined in the same scope we are. 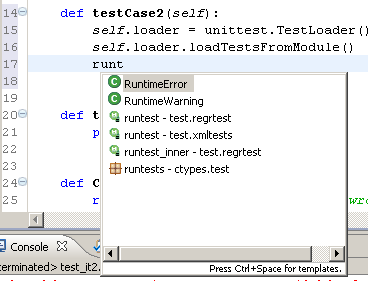 Completing on a class (note that we get the hierarchy even from builtins).